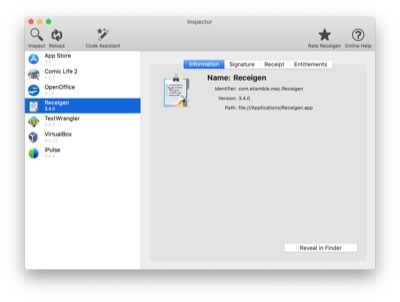 The Inspector is the main interface of the Receigen application. 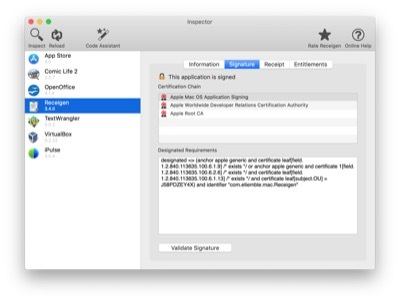 It allows to inspect any OS X application. 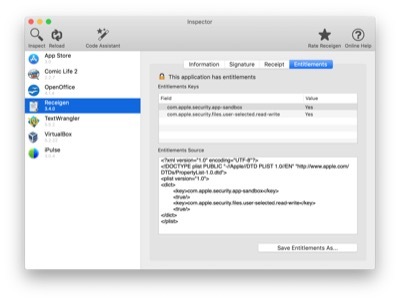 To inspect an application, click on the Inspect icon in the toolbar or select the menu File, the Inspect… item. 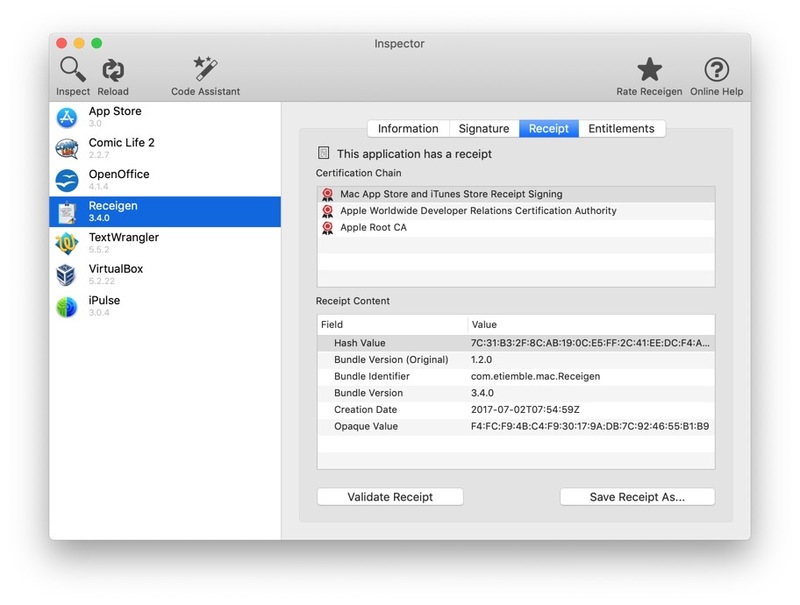 Select an application bundle and click on the Inspect button. 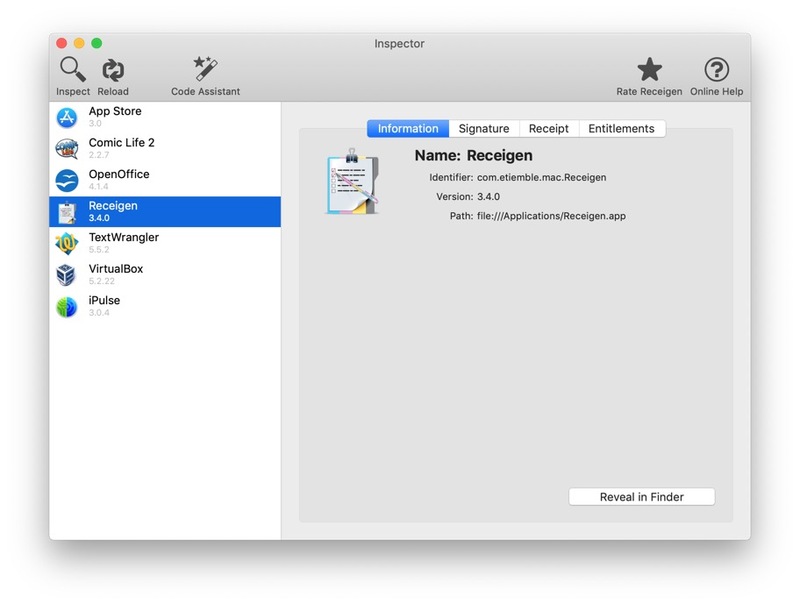 On the right pane, the Information tab displays some information about the application (bundle identifier and version). The application can be revealed in the Finder by clicking on Reveal In Finder button. On the right pane, the Signature tab displays the signature information of the application (certificate chain and designated requirements). 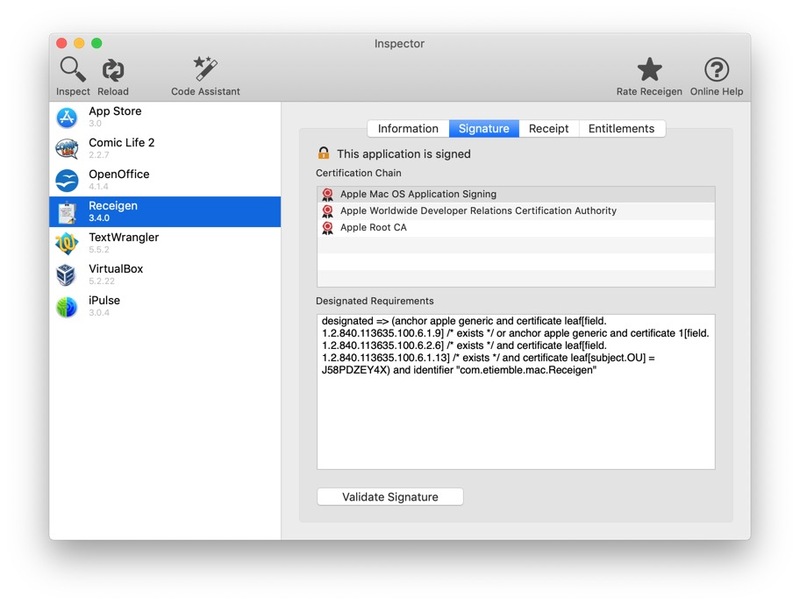 The signature can be validated by clicking on the Validate Signature button. Depending on the size of the binary, this can take time. On the right pane, the Receipt tab displays the receipt information of the application (content and certificate chain). You can also view the InApp purchases stored in the receipt with all their details. The receipt can be validated by clicking on the Validate Receipt button. The receipt can be exported by clicking on the Save Receipt As… button. 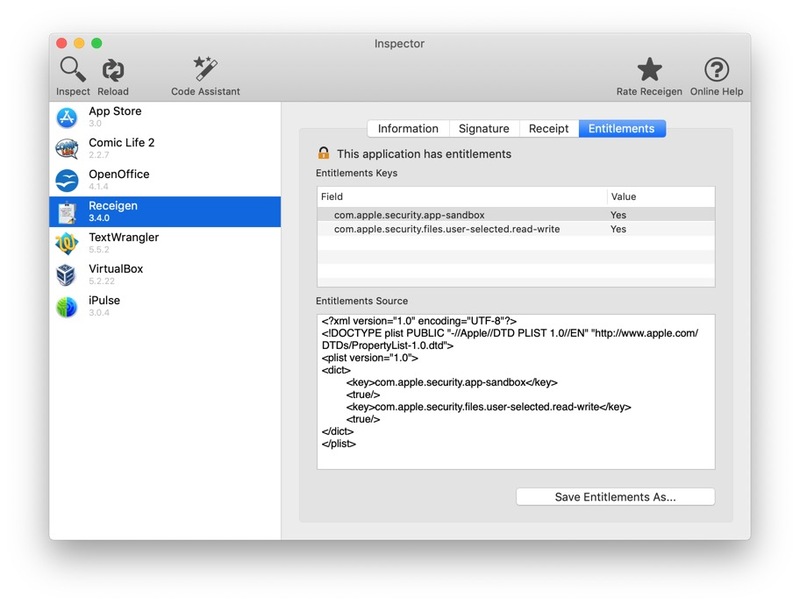 On the right pane, the Entitlements tab displays the entitlements of the application. This is useful to see or check entitlements of applications (sandboxing, iCloud, etc). The entitlements can be exported by clicking on the Save Entitlements As… button.